The second annual Fall for Forest Hill 5K Run/Walk will take place on Sunday, Oct. 15. The race, to benefit the East Cleveland Parks Association, offers participants an opportunity to experience spectacular fall colors on a unique and scenic USATF-certified course, winding through historic Forest Hill Park. 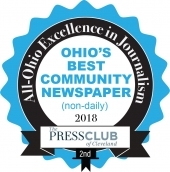 The race will begin and end at Forest Hill Park, adjacent to the Cleveland Heights Community Center at 1 Monticello Blvd. Race-day check-in time is 8 a.m., at picnic shelter 2A and 2B. The chip-timed race will begin at 9 a.m., and the walk will start at 9:05. 5K runner awards will include the top overall female and male, and the top overall female and male in each age category: 14 and under; 15–17; 18–24; 24–34; 35–44; 45–54; 55–64; 65 and over. There will be additional prizes for family fun runners and walkers, and a special kids’ event at the finish. The course is wheelchair accessible, and stroller friendly. Post-race, there will be refreshments and a raffle, and Spice Restaurant will offer its breakfast burritos for sale at the boathouse. Registration includes a performance T-shirt and refreshments. Early registration, $20, closes Oct. 10. Race-day registration is $25. For students, ages 11–17, early registration is $10, and race-day registration is $15. Students can also register in teams of up to 12 participants, for a $100 fee. Team registration closes on Oct. 6, and should made by mail (see details below). For additional information on the race, and to register online, visit www.fhho.org/fall5k. 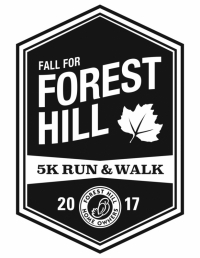 To register by mail, send a check payable to FHHO Inc. to Forest Hill Homeowners Inc., Attn: Fall 5K, 2419 Lee Blvd., Cleveland Heights, 44118-1206. 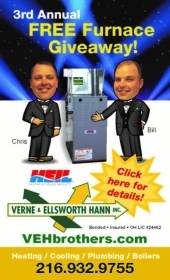 The deadline for all mail-in registrations is Oct. 6. 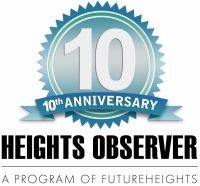 Eileen Smotzer and Kate Lewis are race organizers and board trustees for Forest Hill Home Owners Association.